A hard-line Hindu religious leader has been sworn in as the chief minister of India's most populous state. Prime Minister Narendra Modi and other leaders of India's ruling party attended a ceremony Sunday in the Uttar Pradesh state capital of Lucknow, where Yogi Adityanath took the oath of office. 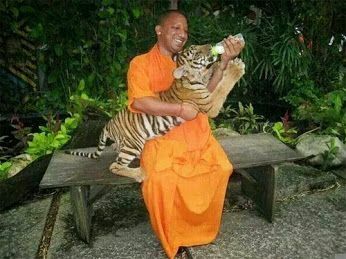 Adityanath is a five-time member of Parliament who has offended many in the country with his polarizing statements attacking the Muslim community. Two deputy chief ministers and 44 other ministers were also sworn in at the ceremony, which comes a week after the ruling Bharatiya Janata Party won a landslide victory in state assembly elections. Adityanath's anti-Muslim rhetoric has raised concerns among Uttar Pradesh's Muslims, who form nearly a fifth of the state's population.